Yes, it is always pleasant to rediscover benefits of ordinary object. In my latest case it happened during one of visits to Coffee Bean & Tea Leaf. After my few second confusion was gone I started reading back side of the label with hope find if this drink is also free of carbohydrates and proteins. 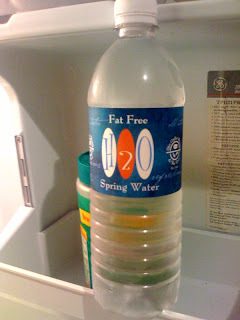 Unlucky it is only FAT FREE WATER. I don't think this bottled water requires additional advertising. I just wish you enjoy such healthy water. Dealing with Kerberos in MOSS/K2 distributed environment is inevitable. First, let's start with a quick overview of what is Kerberos. 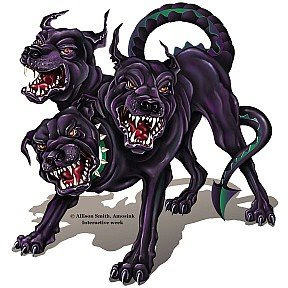 Kerberos is a computer network authentication protocol, which allows individuals communicating over a non-secure network to prove their identity to one another in a secure manner. It is also a suite of free software published by Massachusetts Institute of Technology (MIT) that implements this protocol. Its designers aimed primarily at a client-server model, and it provides mutual authentication — both the user and the server verify each other's identity. Kerberos protocol messages are protected against eavesdropping and replay attacks. End client's browser requests MOSS page featuring the K2 web part, MOSS delegates the client's credential to K2, K2 knows who the end user is and retrieves his or her worklist items. You went to the Active Directory on the Domain Controller and gave the computers and users participating in the process a Delegate right. You DO have worklist items waiting for you. If you have more than one domain controller in the network you realize that replication time could be a problem. Make sure that if you do some domain changes (adding/removing SPN, trusting delegation and etc) you either force the replication or wait for the period of time. You might want to decrease it to 10-15 minutes. Now, if you don't see any of your items in the MOSS K2 web part, that's the first sign your Kerberos setup is not working. Login to your K2 server (using the K2 Service credentials! ), go to the Services and stop the BlackPearl service. Then run it in console mode so you can clearly see what the error is. Chances are, you will see error messages telling you that the user 'NT AUTHORITY\ANONYMOUS LOGON' was denied access. Obviously what happens is - IIS is not passing the end client credentials to the next server in the chain, which in our particular case is the K2 server. Now starts the fun part, trying to determine why your Kerberos configuration is not working. Logically, you would start by enabling the Kerberos logging on all participating machines. You do that by running regedit and navigate to HKEY_LOCAL_MACHINE\SYSTEM\CurrentControlSet\Control\Lsa\Kerberos\Parameters. You should add a REG_DWORD entry with value of '1'. Also, on the machine issuing TGT you should add the key KerbDebugLevel with value of '1', in the same Parameters folder. Enabling Kerberos logging is also explained here. Microsoft tries to explain them here, but generally, the descriptions of those errors might be unclear or even misleading. During the course of a week-long Kerberos issue troubleshooting, the problem was pinpointed to the following items. Internet Explorer settings on the client side. Make sure that the client (using IE) has added your MOSS website to the list of Trusted Sites. This is done by going to the IE -> Tools -> Internet Options -> Security -> click on Trusted Sites -> Click on the Sites button -> type the url of the site and click Add. Also, make sure that the Security Level for the Trusted zone is Low. If that's not possible, do a custom level (by pressing its button) and scroll down to the bottom of the pop up screen. Select "User Authentication->Logon->Automatic logon with current user name and password" radio button. Basically this tells the browser to pass the user credentials to the web site. Otherwise it will pass some anonymous user and it will never work. It is worth mentioning that IE 6 won't work with Kerberos, if the web site is not running on port 80. It is explained in details here, but you can easily overcome this problem by using host headers, insted of ports. Kerberos UDP fragmentation. Yes, by default Kerberos is running over the unreliable UDP protocol. This means - there is no guarantee that the packages will actually reach the destination. 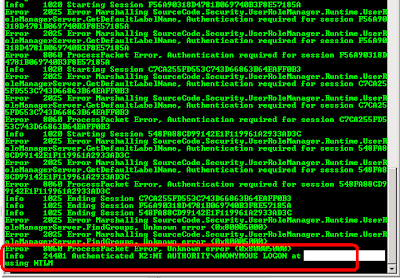 So if you get a lot of KDC_ERR_S_PRINCIPAL_UNKNOWN and KRB_ERR_RESPONSE_TOO_BIG error logs, this might be the reason. It is explained here and the solution to that is right here. By setting the max packet size to 1, you force it to run over TCP. This will require reboot of the system, though. Duplicate SPNs. That is my favorite and less documented problem! To understand what is considered a duplicate, read this short article carefully! Turns out, you can not have "HTTP/portal.mydomain.com DOMAIN\ServiceA" AND "HTTP/portal.mydomain.com DOMAIN\ServiceB" in the same time! When you are adding a SPN, it should be assigned to only one user! Getting rid of the duplicate SPNs is no fun at all. Currently, there is no good tool do that for you. You will have to do it manually. First, you will need to output all the current SPNs in your domain. It's all explained here (3rd method). Search for other duplicates and if none, you are one step closer to resolving the problem. At this moment, it is great idea to Purge all current Kerberos tickets in the system, as they (and the lack of?!) are being cached for more than 20 hours. For that purpose, you need to obtain a copy of the free KerbTray program. You might already have it installed, so check in your Program Files\Resource Kits. If not, get it from here and disregard it's saying the program is for Windows 2000 only. Here is a tip - if you are lazy and don't want to install it on all machines, you can intall it on one and access it from the others by opening \\servername\C$\... (if enabled). The program usually runs fine that way, worst case you will have to copy it. So, after you start KerbTray you will notice a new green icon in the system tray. If you double click it will show you the current Kerberos tickets obtained for the system. What you want to do is right click the icon and select 'Purge Tickets'. Don't worry, the system will obtain them again and that's the whole point of the exercise. Now go ahead and retest the network connectivity. Keep monitoring the K2 blackpearl server output. You should not see anonymous logons any more. Every network environment and its Kerberos configuration has something specific and its own flavor. Explore the references below to get further information and idea on how to troubleshoot Kerberos issues. Understanding what is a Duplicate SPN! If you are developing a K2 blackpearl / InfoPath 2007 / MOSS solution, at some point of time you might need to digitally sign your Form template. One of the reasons you may need to do that is, if you have to give 'Full Trust' to the form. That's because MOSS will not allow you to submit (or event start filling out) a new InfoPath form, which requires full trust but is not digitally signed. The process is pretty straight-forward - in InfoPath you click on the Tools in menu, select 'Form Options' and navigate to the 'Security and Trust' tab. Then you click on the 'Sign this form template' checkbox and choose a certificate (or create a new one). "The form template is trying to access files and settings on your computer. InfoPath cannot grant access to these files and settings because the form template is not fully trusted. For a form to run with full trust, it must be installed or digitally signed with a certificate." Now, let's think about how we usually edit InfoPath forms, which are already integrated with the K2 process. Usually we click on the InfoPath integration icon which opens the wizard and then we click on the 'Design' button, which opens the InfoPath application for us, so we can edit it. The problem with this approach is - by modifying the InfoPath form, K2 blackpearl invalidates your digital signature and effectively removes it. What happens is - you click on the 'Design' button, open the InfoPath form, set the signature, save the form, close it, 'Finish' the wizard, but next time you open the InfoPath form, your signature is gone. Even if you modify the InfoPath form outside the K2 studio, in the process of deployment, your signature is being destroyed again. As a conclusion - there is no way you can deploy digitally signed InfoPath form, through the K2 blackpearl studio! It will open the InfoPath form in design mode for you and will prompt you to save it somewhere. Don't overwrite the InfoPath form which is in the K2 project. Just save this on the desktop, or somewhere else. Now, in the InfoPath go to the Tool -> Form Options... -> Security and Trust and select full trust radio-button. Use the Publishing wizard in the InfoPath application (File -> Publish...) to republish the form into the form library. Now your InfoPath form is digitally signed and ready to use. Unfortunately, you will have to follow those steps after each deployment.